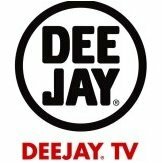 Music TV Channel / DeeJay TV was an Italian general-entertainment channel, opened in 2002 as a music satellite channel, and re-launched in 2009 on digital terrestrial television. Radio DeeJay is an Italian radio station. It was founded on 1 February 1982 by the Italian radio and television personality Claudio Cecchetto and was acquired by the Gruppo Editoriale L'Espresso in 1989 and Discovery Italia in 2015 (which also owns DeeJay TV, Repubblica Radio TV, m2o and Radio Capital).